This is chicken & rice. 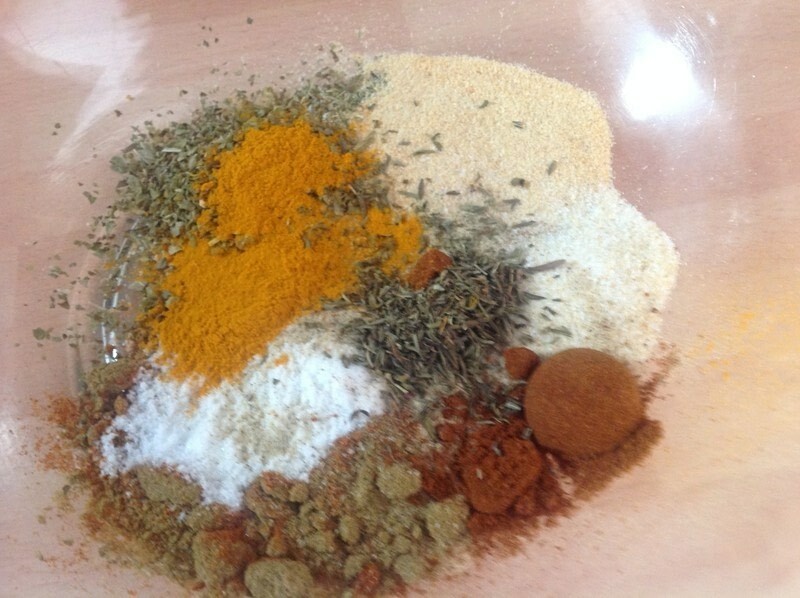 Mix all sayzon marinade ingredients. Remove 2 1/2 tbsp of the marinade for later. 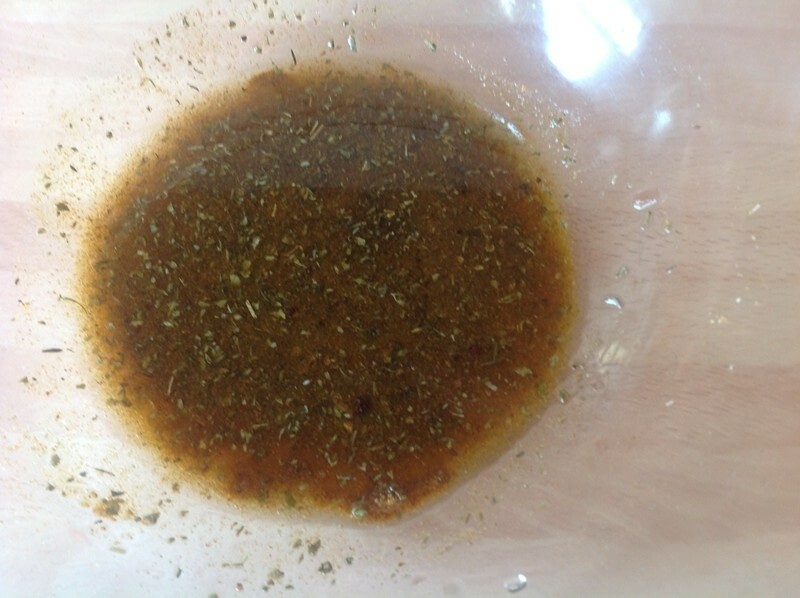 Mix the remaining marinade with the oil & vinegar. 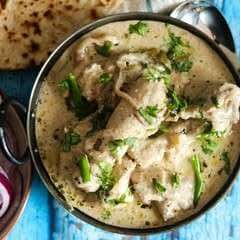 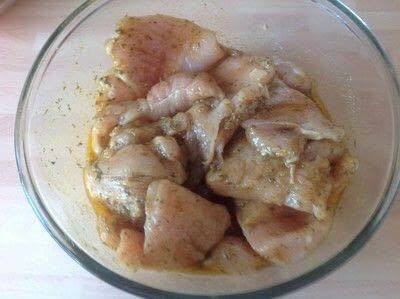 Cover the chicken in the marinade & leave for atleast 15 mins but you can leave it overnight. Add the chicken & seal the out side on all sides. 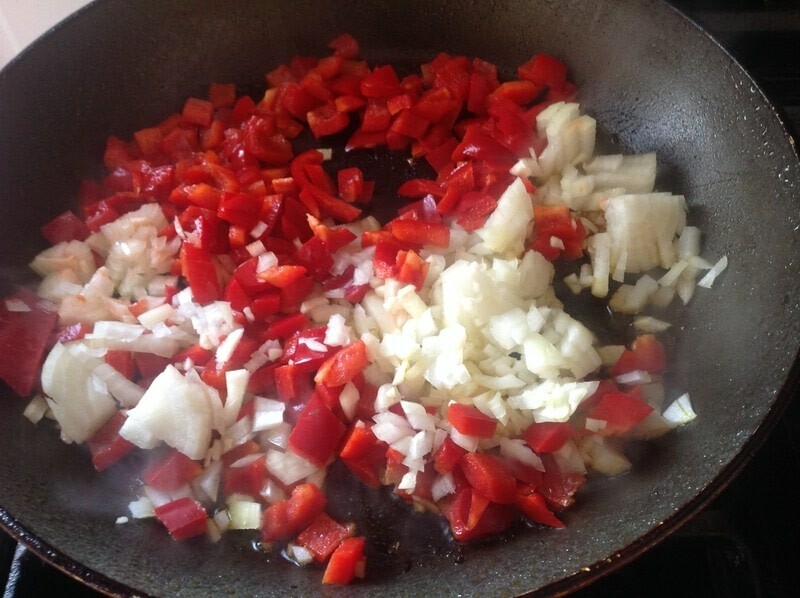 Add the garlic, onion & pepper. 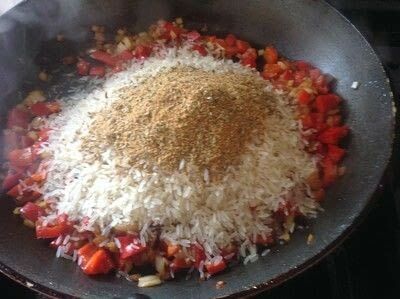 Add the rice & remaining seasoning. 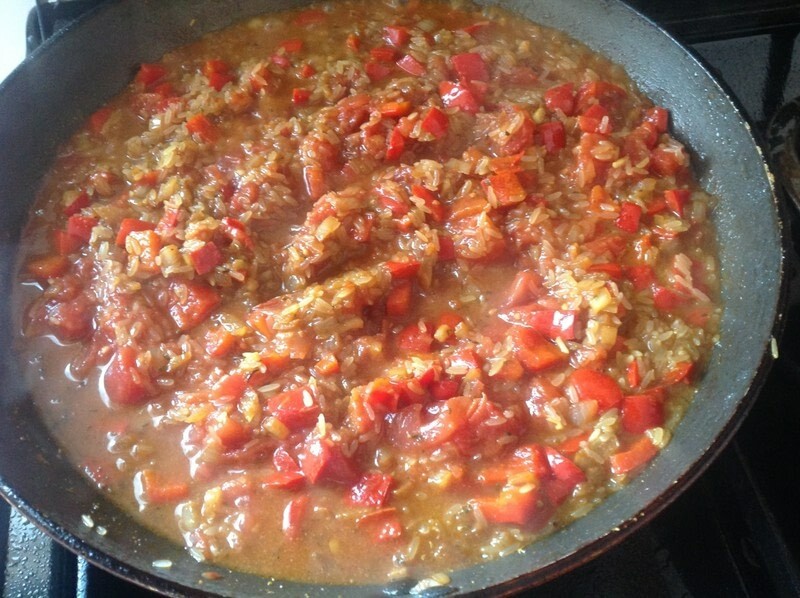 Add the jar peppers, bay leaf, tomatoes & purée. 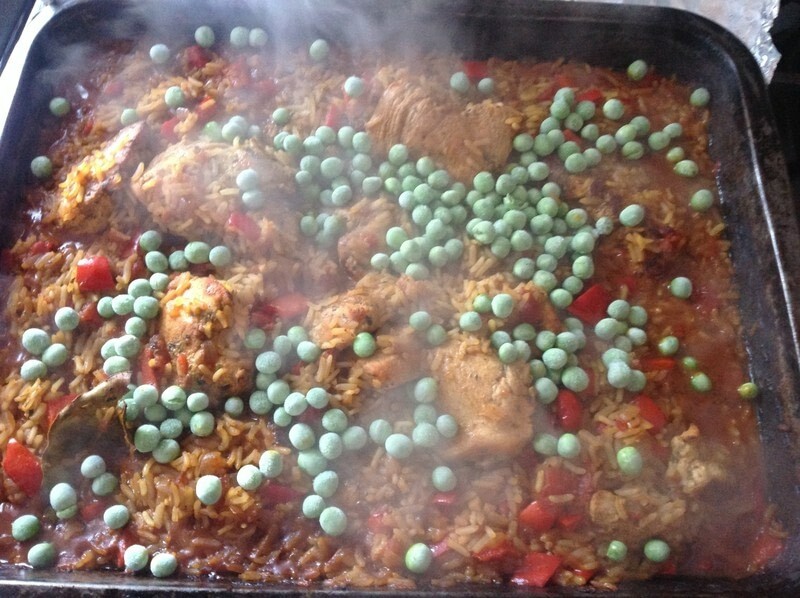 Pour Rice into a oven dish. 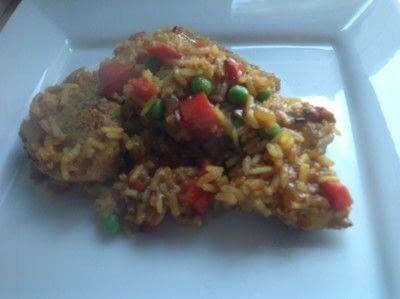 Cover & bake for 25 mins. 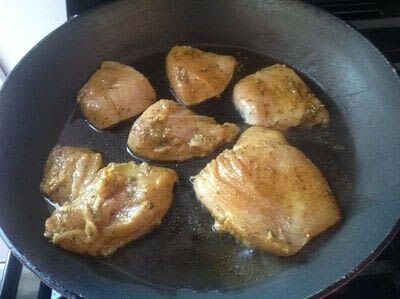 Cook until rice & chicken are cooked. 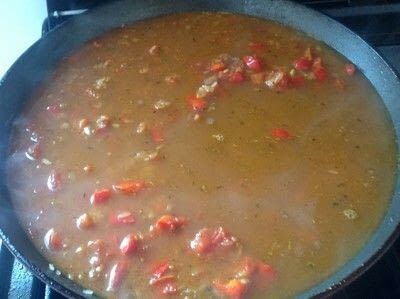 Add the peas & stir through. 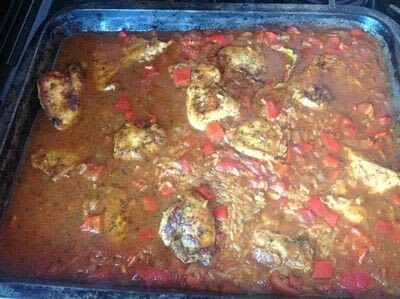 Cover & leave for 5 mins.